The Remember To Water Repayment To Rent Ratio score (RTW RRR) is a number designed to tell you how well you could (or should) be saving when trying to buy a home. Like all simplistic models it is far from infallible. But I believe it provides an interesting look at how you are, or could be, doing when it comes to saving a deposit and readjusting your rental expectations. What is the Remember To Water Repayment To Rent Ratio (RTW RRR)? Your RTW RRR score is the ratio between your minimum mortgage repayments if you had a 100% loan and the amount you pay (or would choose to pay if you were renting) in rent. A number of factors will change your RTW RRR, but there are a few variables that can be set up front. I have based all of these on the current state of finance in Australia. If you don’t live in Australia change to your countries equivalent. Of course this does not cater to people who buy an inexpensive house even if they could afford a luxury home. It also does not cater to people who choose to buy an (or multiple) investment properties and rent. Ah well, you cant please everybody! Take your minimum weekly mortgage repayment. For calculating this there are two assumptions you need to make: what the interest rate is, and how long the loan term is. The length of the loan I set to the maximum typically allowed in Australia which is 30 years. If you choose a 20 or 25 year loan, then your repayments will be more and your ratio will be higher. If you want to cheat, this is a good way to do it. For the interest rate, I have chosen a reasonably conservative 6% (although if interest rates keep dropping you may want to change that to 5% or even 4%). Interest rates can impact the result as they increase loan repayments, but this just highlights the importance of being able to afford the house your are buying. I personally do not expect interest rates to get that high again for a long time, however when you are talking 30 years a lot can happen, so remember to build in a buffer when calculating what you can afford. What if interest rates rose to around 9% (the average over the last 30 years)? $600,000 loan at 6% interest over 30 years gives a minimum repayment of: $830/week. A $250/week rental. This is a typical low end rent for many 2 bedroom apartments at a commutable distance from the CBD if you have a flatmate/partner to pay the other half of the rent. A $450/week rental. This is a typical low end rent for many 1 or 2 bedroom apartments at a commutable distance from the CBD. A $950/week rental. This is typical of a reasonable 3 bedroom townhouse closer to the CBD. Once again it is important to remember that the repayments are based on a loan of 100% of the purchase price of the house. The whole aim of this is to look at your ability to save for a larger deposit. A larger deposit will mean a smaller loan. A smaller loan means smaller repayments, and smaller repayments means you can pay the loan out faster. With an understanding that the RWT RRR is a simple number and can be easily fudged by changing the loan term or interest rate. The following are some ranges for the RTW RRR score and what they mean. You choose to live it up and will pay for it later. You may never be able to save a 20% deposit. Even a 10% deposit may be harder than it should be here. 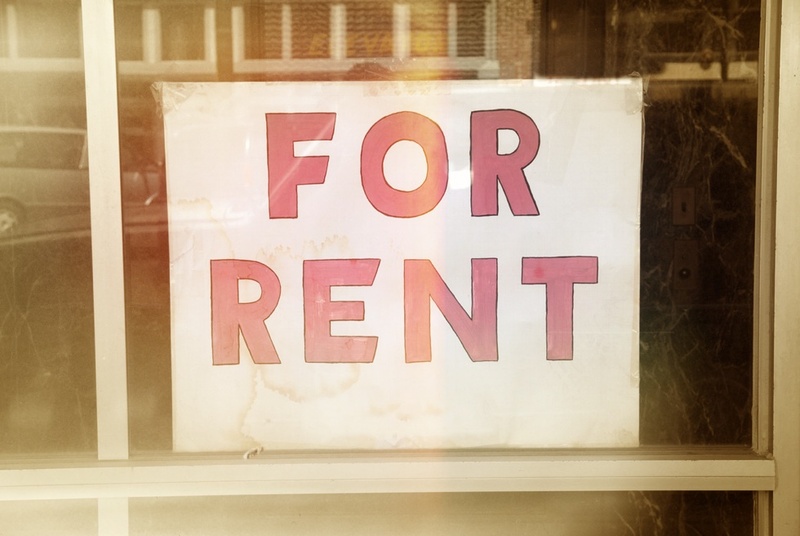 You should consider renting a cheeper place if you can. Otherwise you may just have to save harder or for longer. Middle of the road. You can save for your house deposit but it may either take a longer than you want or be harder to hit the 20%+ mark. Most people probably fall into here. A 20%+ deposit is defiantly an achievable goal, but you will have to work for it. Good going. You should be aiming for at least a 20%+ deposit. This is where I land and managed to get a 30%+ deposit. Saving for a standard 20%+ deposit won’t seem like too much work if you use the extra money from what your repayments will be. Amazing. You are a rock star who can do anything. Why not shoot for 50%+ deposit, or just pay your home off faster. You either kept your rental requirements minimal or are shooting for high end luxury in your family home. What is your RTW RRR score? 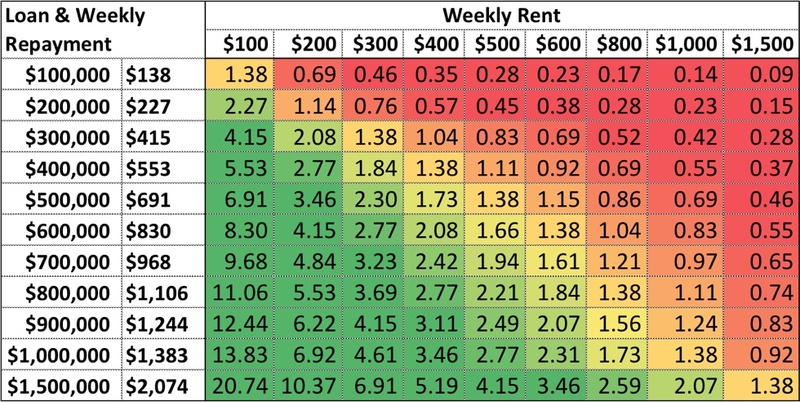 The table below lists the RTW RRR score for various rental prices and home loan values. This table assumes the same 6% interest rate and 30 year loan term. The scores are colour coded according to the meanings above. Where do you sit? If you are renting and your number is too far into the red, you could be saving a deposit faster if you found a less expensive rental and saved the difference in rent. Cool little matrix you’ve put together here! I’d be fairly confident / comfortable getting a rental relatively close to Sydney CBD with flatmates for $250 although my main challenge is other lifestyle expenses mainly holidays :O.. Previous story How Much Do You Really Need For A House Deposit?